In the days before the internet, productivity was a slow process requiring manual input and long-form mathematics. The internet has changed all that and is getting better all the time. 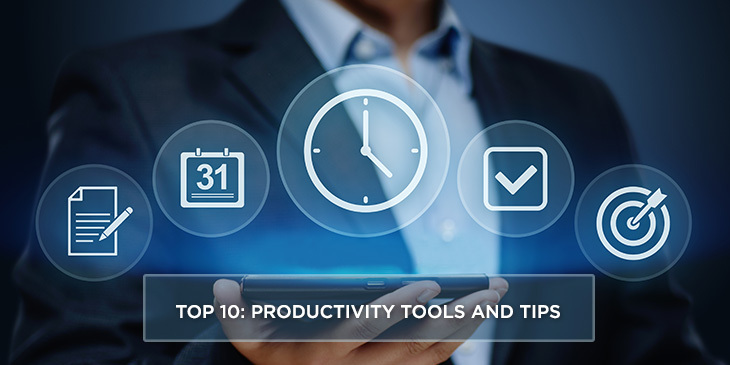 So what are the top 10 productivity boosters for 2018? Aegis Secure Key 3Z is featured as one of TechRadar’s best business productivity gadgets. It is possibly the toughest and most secure USB device available anywhere. It has a rubber casing and comes with security features. It’s a little pricey, but if security is a priority then it’s worth it. Most businesses have adopted business accounting software programs, but what are the best ones out there? PC Magazine compares the 10 best accounting software programs for 2018, with picks including Intuit, Wave and AccountEdge Pro. But have a look at the others too. 3. Are all headsets alike? Another product recommended by TechRadar is the Sennheiser MB 660 wireless ANC headset. Why do they recommend purchasing a rather pricey headset? It’s designed for business use and has some features that make it worth the price, including excellent sound quality, a long battery life and three noise-cancelling features that are completely customizable. Productivity means using your time wisely. Lifehack recommends 15 time-management apps and tools that should make it easy to track your time without wasting it. Their top pick is Rescue Time, which sends weekly reports that reveal what’s really stealing your time. If you’re an architect, 3D modeling tools are a must. Sculpteo’s list of the best 3D modelling software for architecture reveals the top 10 CAD software programs on the market. Entrepreneur lists 10 productivity tools for sole proprietors, one of which is Due, a tool that allows you to process payments online. The author believes Due is easier to use than many other digital wallets, but as a sole proprietor, you still have customers to think about. There are other listed tools that can help you communicate with customers and speed up productivity. If you’re too productive, you run the risk of burnout. That’s why Entrepreneur endorses Focus Booster. Focus Booster works on the Pomodoro Technique, which suggests taking a five-minute break after 25 minutes of work. The idea is to clear the mind during the break, increase focus and improve productivity. Last year, Time compiled a list of five tricks to boost your productivity. One of the gadgets mentioned is a StayFocusd app available on Chrome. This app will allow you to set time limits on various websites. 10 minutes is the default, but if you tend to linger on Google Hangouts or other time-wasting programs, the extension will make any website unavailable after 10 minutes. 9. Have you tried Google Drive? Google Drive is not a new product, but it’s free to use and is featured as one of PC Magazine’s best productivity apps of 2018. Why should it be on such a revered list? Google Drive has it all, including a document creator, spreadsheets, presentation materials and online forms. You can also share your work with editors and collaborators simply by adding their email address. CRN’s list of the 10 coolest apps of 2017 is well worth a look. From scanning and printing to file management and monitors, there’s something here for everyone. 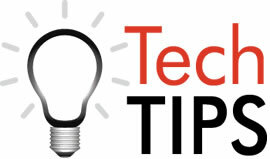 Pitch tech solutions to upper management – and succeed!